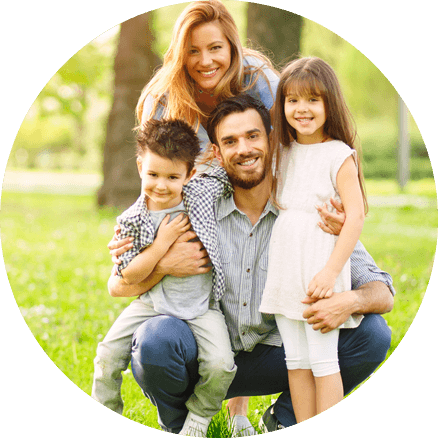 We offer natural approaches to wellness for the whole family. Advanced Healthcare Associates offers multiple doctors and services including Medical Physicians, Chiropractic Physicians, Physical Therapists, Massage Therapists, Acupuncturists, and Nutritional Counseling for weight loss to provide complete health and wellness care to Dupage County residents. At our chiropractic practice, we educate families about the importance of chiropractic care, nutrition and exercise, not just sick care.” We are interested in taking care of the problem not just masking them with medications. In many of our patients we have eliminated all use of drugs completely from their daily lives. We have also saved a lot of patients from unnecessary surgeries. For relief care or long term health and wellness, we’ve got you covered. Our ideal patient is one who knows quick fixes don’t last. Problems take years to manifest, and correcting those problems requires lifestyle changes including exercise and nutrition to attain wellness and a better quality of life. Wheaton chiropractic patients deserve the care and education they need to implement those changes and achieve the long-term health they and their families have been striving for… and the Dupage County chiropractor that offers that care and education is Advanced Healthcare Associates. Call us today and find out if we can help you! of Dupage County on the benefits of chiropractic care. For relief care or long term health and wellness, we've got you covered. We Gladly Accept Insurance including CareCredit for Treatment and Care. Our team of professionals will happily accepts most medical insurance, including BCBS of illinois. Nice people. Working on Sundays!!! Dr. Susie is amazing the way she connects personally with every patient. Because of her warmth and energy, it is a very welcoming and comfortable place to receive treatment and hope! Love everyone who works there! After just 4-5 visits I am starting to feel “normal” again! Thank you so much for everything you do! Love Dr. Susie and all her staff! I drive a long way to the office only because of all of them! Amazing experience! Great facility and friendly staff! Dr. Susie Warden I want to thank you for your help and concern I haven’t felt this great in years. Everyone was very friendly and helpful!! The office environment was clam and relaxing. Chris and the Doctor were very pleasant and helpful. I am afraid with what’s happening to me so this makes a big difference. Thanks for your sincere help. I want to thank you for your kindness and such a wonderful and warm welcoming atmosphere. I am thrilled to have found this practice. They really take time to listen and help you. Their consistent reminders, across the staff, has helped me to be completely aware of my bad habits and has prompted me to actively engage good habits. I truly feel better each day. Love the multi faceted approach. Massage, adjustment, exercise therapy. Was thrilled that I found relief after my first treatments! It is all about the patient here. Both Dr. Susie and Dr. Leanne are 2 of the best I have encountered in all my years of surgeries, pain and treatment. Very knowledgable and helpful therapists and staff. Great information and assistance. Felt relaxed and energized after trigger point mini-massage, and especially neck area. The chiropractor was knowledgeable and very positive. All staff contributed to a healthful experience. The visit was easy & the staff was polite. I’ve never before looked forward to seeing any healthcare provider. As soon as I walk in the door at Dr. Susie’s, I’m immediately in a good mood because the care I will receive is stellar. Every therapist there takes pride in what they do. And it’s so apparent they really care about making you better. I recommend your practice to everyone I can!!! Frankly it was my best Chiropractic experience and I am looking forward to returning. It is nice to not be in pain after 3+ weeks! From my first step into the office, I felt almost like I was home. Several people acknowledged me by my first name and made me feel very welcome, comfortable and important. It is the best Chiropractic office I have ever been in. The Staff are wonderful and knowledgeable and help you with everything. Dr. Susie Rocks!! And they understand your pain and do not rush you. A truly GREAT experience. The staff were knowledgeable and very friendly. And after the first visit the pain is definitely lessening. Excellent staff and very helpful in all aspects. Look forward to continuing my treatments. Been a patient ever since the first visit. Going on almost 5 years now. Always makes my pain go away!